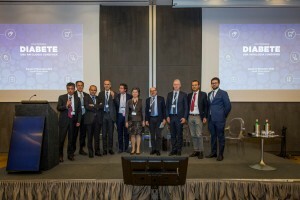 Last Saturday SUNSTAR sponsored a one-day event to promote a multidisciplinary approach to diabetes in Milan (Italy) on the occasion of the World Diabetes Day. The session was divided into two parts: the morning was dedicated to professionals and the afternoon was focused on consumers. 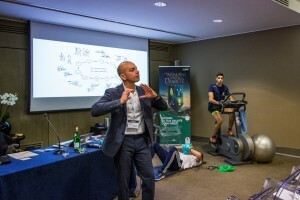 The morning session was organised by the Medical Association of Milan, the Italian Association of Dental Hygienists, and the Italian Society of Periodontology. The main objective of the course was to give an overview of all the complications related to diabetes and underline the importance of having a multidisciplinary approach to this disease. 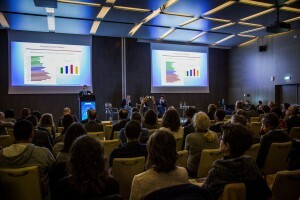 Therefore, over a hundred professionals from different fields such as cardiologists, diabetologists, and odontologists attended the session that counted with some relevant speakers such as Prof Mario Aimetti, President of the Italian Society of Periodontology, or the Prof Livio Luzi, Professor of Endocrinology at the University of Milan. After an exciting programme, all the speakers participated in a roundtable to discuss the best way to approach diabetes holistically by creating synergies between medical specialities. Among all the concepts shared over the morning, the central message of the session according to the experts is clear: a tighter collaboration between professionals is needed. As Dr Sandro Siervo, Scientific Responsible, states: “Only if all the professionals involved work together to look for innovative diagnostic and therapeutic solutions, we would be able to tackle this pathology as its best”. In the afternoon, it was time to focus on the real protagonists of the Diabetes Awareness Month: the diabetic patients. Hence, we prepared four simultaneous workshops that directly tackled many of the main issues related to Diabetes such as Oral care, Physical Activity, Nutrition and Diabetic Foot treatment. These activities met the patients and their families’ needs as they got to ask many professionals any concern related to diabetes management in a single afternoon. 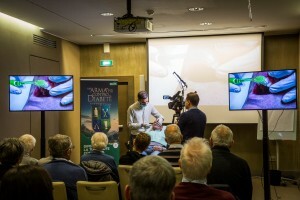 But, most importantly, the attendees had the opportunity to exchange life experiences, knowledge, doubts and fears about this disease with other people in the same situation.